Battle Grade M1 rifles come complete with 5 new 8rd clips and a basic manual when available. Select, USGI Select, Navy, Scout, Match, and EBR rifles come with 5 new 8rd clips, Scott Duff Owners Guide, new web sling, AND have a limited one year parts and labor warranty! 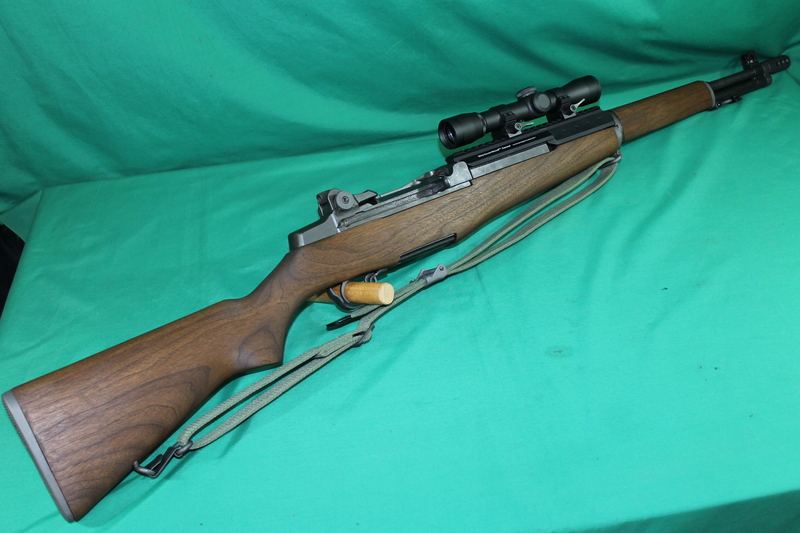 We have OVER 30 years experience selling, repairing, and rebuilding M1 rifles. Battle Grade. 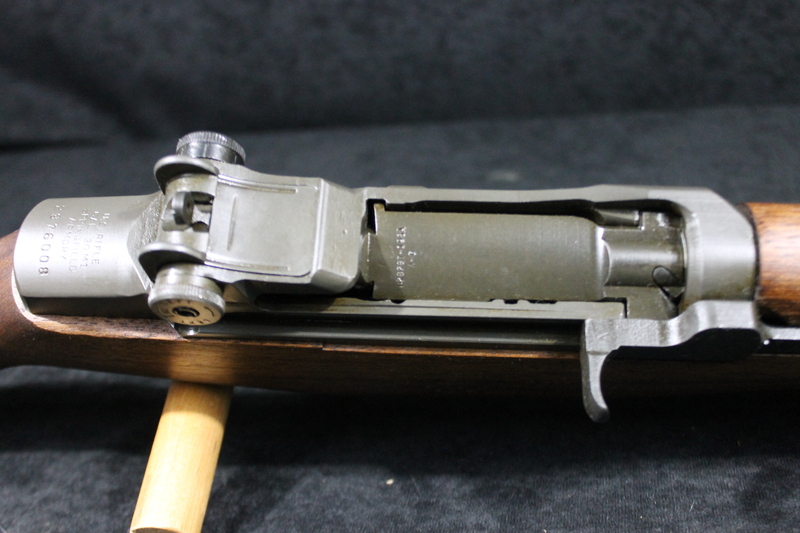 Genuine Springfield Armory M1 Garand rifle manufactured during WWII and Korean War. All G.I components with no aftermarket or reproduction parts. Rifles in this grade exhibit very-good to excellent parkerized metal finish, nice GI stock and handguards, bright sharp bores, and have been fully inspected by our trained armorers in our 36 point technical inspection. Rifles are test/functioned-fired then targeted out to 200 yards and sights calibrated. 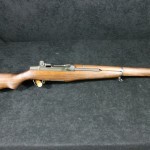 An excellent opportunity to obtain a quality M1 rifle! $1599.95-$1699.95 Sold out, call to reserve next available. 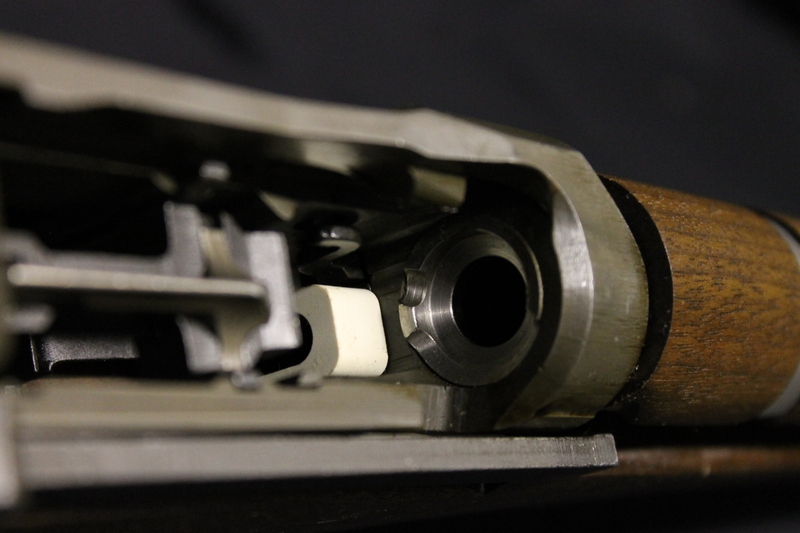 Above: Photos of our Select Grade M1 Rifle. 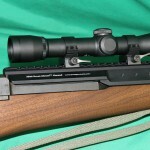 Select Grade Genuine Springfield Armory M1 rifle 30-06. Rebuilt by our shop to as -new condition. All first quality parts and individually built with attention to detail. These fine “as new” rifles are fitted with brand new standard contour Criterion Match Quality barrels known for their superior accuracy, and hand selected brand new walnut stock and hand-guards. Test fired and targeted and rear sights calibrated. 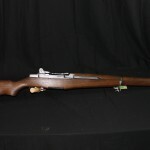 Perfect for individuals who want to participate in the John C. Garand matches as our rifles conform to all published rules and regulations, or for individuals who want a highly accurate target rifle for informal plinking or target shooting. 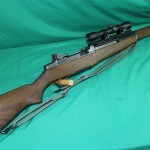 Hard to find a better deal on the net for a quality M1 rifle. These rifles shoot as good as they look. 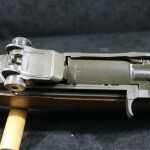 A serious competitive rifle and John C. Garand Match legal. Fully tested and targeted for reliability, safety, accuracy, and function. 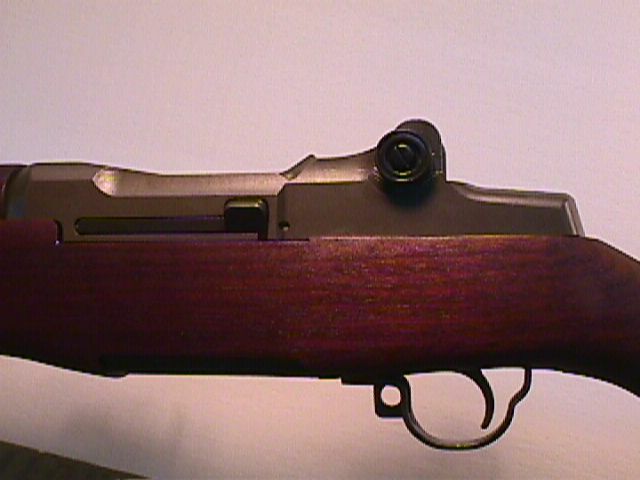 A new appearing rifle. $1999.95 In Stock! Winchester Select Rebuilt with the same care and expertise as our standard select grade with all new pins, springs, wood and Criterion barrel except we start with a genuine Winchester receiver and use many Winchester parts including bolts, trigger guards and housings and some even have Winchester operating rods. $2,399.95 In Stock, limited availability! 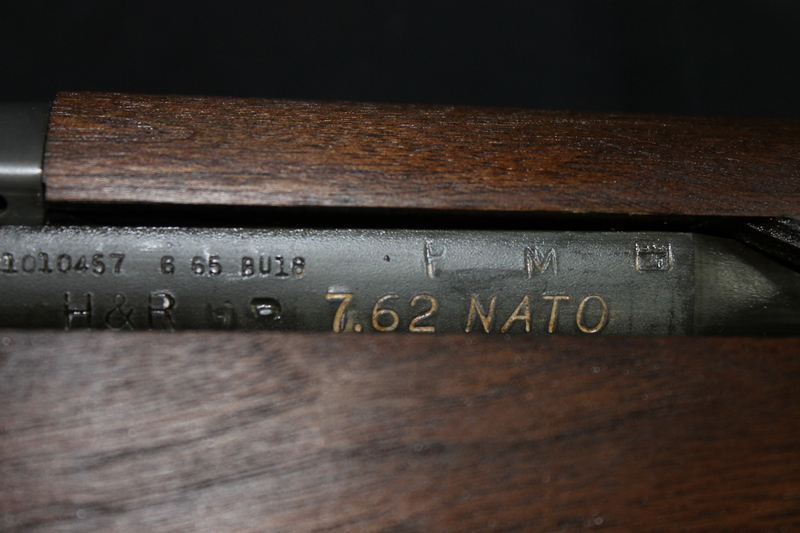 NAVY 7.62 MM NATO Grade. 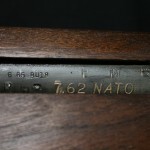 Genuine U.S.G.I Navy rifles fitted with original like new SA 1965 dated 7.62MM NATO barrels. These are real Mark 2 Mod 1 designated rifles. 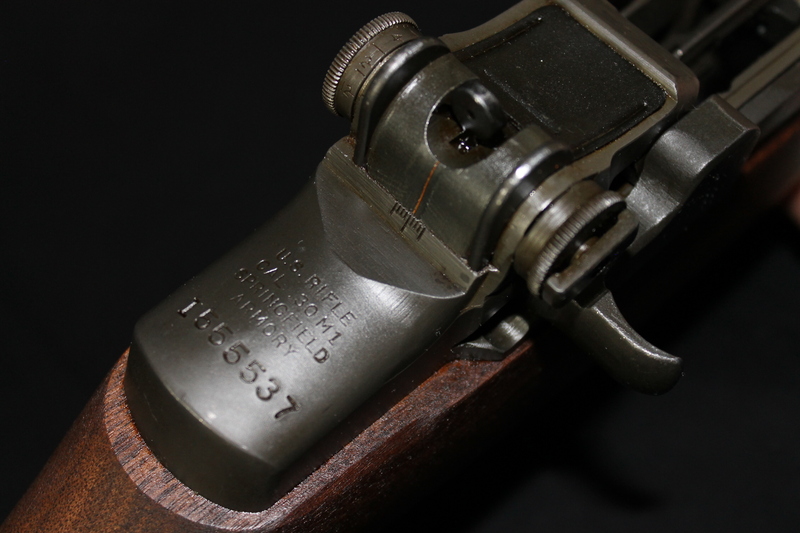 These rifles were converted by Harrington & Richardson ( H&R ) and American Machine & Foundry ( AMF ) and each of our rifles will have either of these markings on the barrel. We have fitted then with brand new American walnut stock sets. Seldom have these rifles been offered on the open market. $2099.95 In Stock! Match Grade. Genuine U.S.G.I. Receiver. 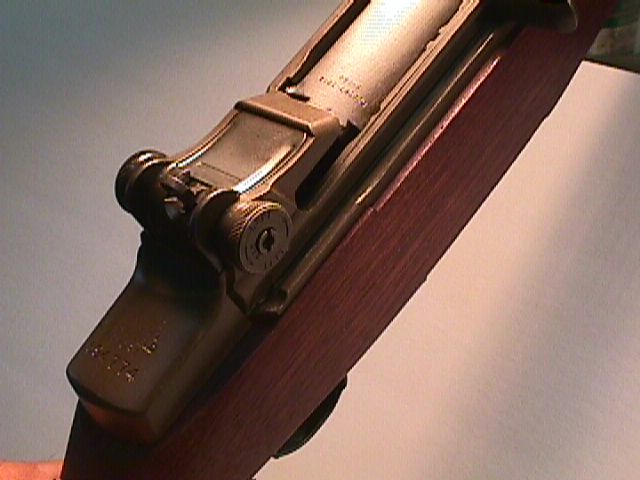 Similar to our “Select Grade” but fitted with national match front sight and complete National Match rear sights capable of 1/2 minute windage and elevation adjustments. All hand selected parts for optimal fit. Trigger pulls adjusted to NM specs and all creep and excess travel removed for crisp trigger pull. Front hand-guard is unitized to lower band and the gas cylinder is modified to all NM specs. 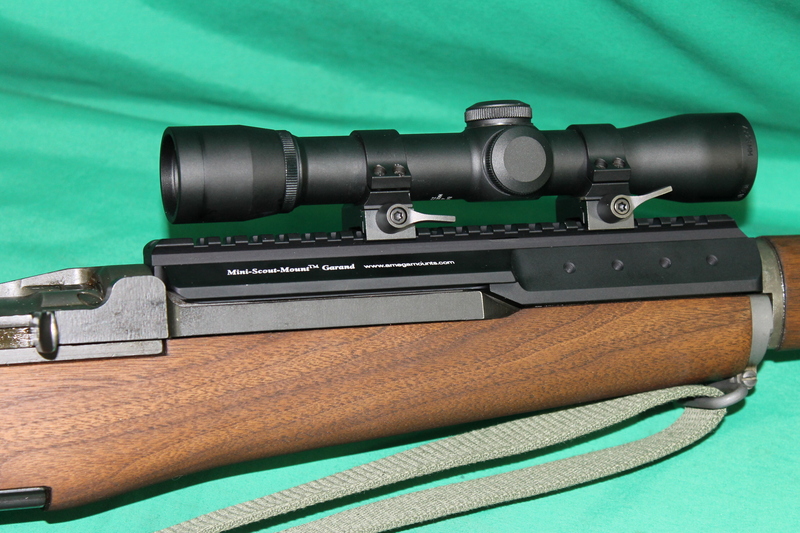 A highly accurate rifle for the serious competitor or shooter. Fully tested and targeted for reliability, safety, accuracy, and function. For shooters and M1 enthusiasts who require a high quality M1 rifle modified and tuned for superior accuracy. $2399.95 In Stock! 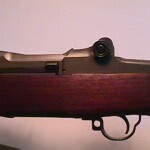 Scout M1 Garand Scoped Rifle.Orion’s Scout Rifle is built off our time tested Select Grade platform M1 Garand. The Scout is equipped with a top quality Kreiger Criterion barrel and brand new American walnut set of furniture, which is hand fitted to each and every rifle. 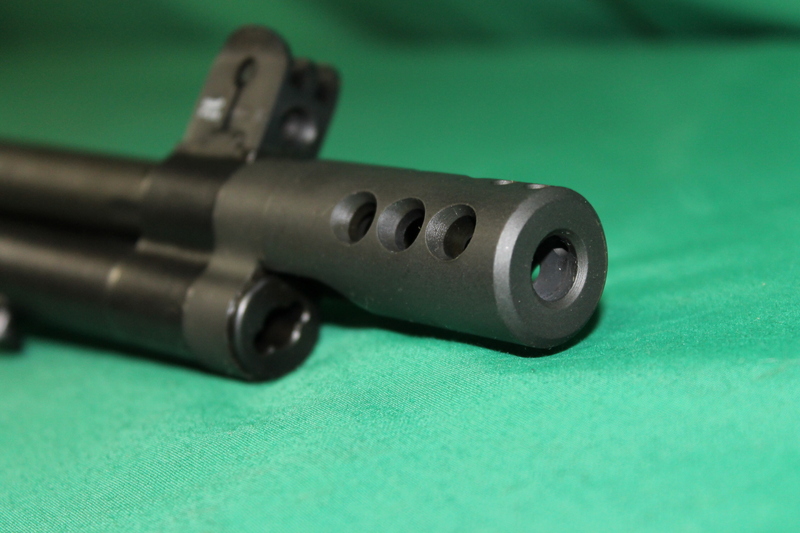 All major components of these rifles, including the receivers, are top quality USGI that have been refinished in house and they come together with brand new pins and springs. This offering has a match tuned trigger and is outfitted with a Super Scout rail system which replaces the M1’s rear handguard. The Optic is a Leupold FX-II 2.5x28mm IER Scout Scope, this particular scope has plenty of eye relief and a fantastic parallax making target acquisition extremely quick. The scope is mounted using Leupold QRW quick detach rings, these high quality scope rings can handle the power of the M1’s cartridge while giving you the ability to switch over to iron sights in the blink of an eye. 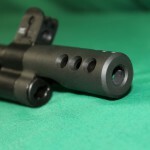 Smith Enterprises muzzle break included which greatly reduces felt recoil. $2899.95 In Stock! Please Note Our rifles are represented /offered with genuine military USGI Gov’t SA or Contract parts. 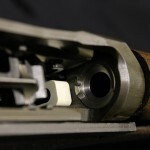 Our rebuilt rifles do have commercial wood stocks and barrels where indicated, but we do not use or will use aftermarket sub-quality cast foreign components. We only offer the finest M1s and stand behind of what we sell well after the sale is complete. We want you to be happy with your purchase! Our limited 1 year warranty on rebuilt rifles will be voided if you use re-loads or ammunition which is not designed for semi automatic rifles. We insist on using surplus or M1 Garand specific, commercially boxed ammunition so there are no issues with your rifles warranty. 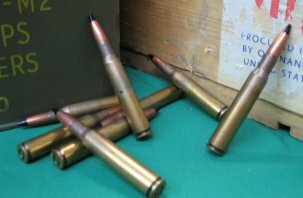 Our armorers can spot wear patterns from improper ammunition and appreciate your honesty. 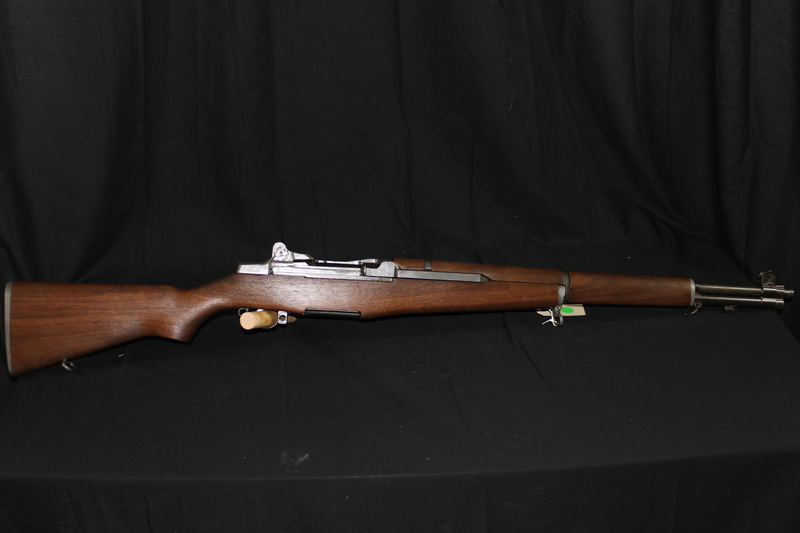 We are now offering Collectable models of U.S.Military firearms including but not limited to; M1 Garand, M1 Carbine, 1903, 1903/A3, Krag, etc. Some fine quality foreign and Civil War pieces are offered. Watch our collector only gallery pages for most recent updates. Rifle ordering instructions. 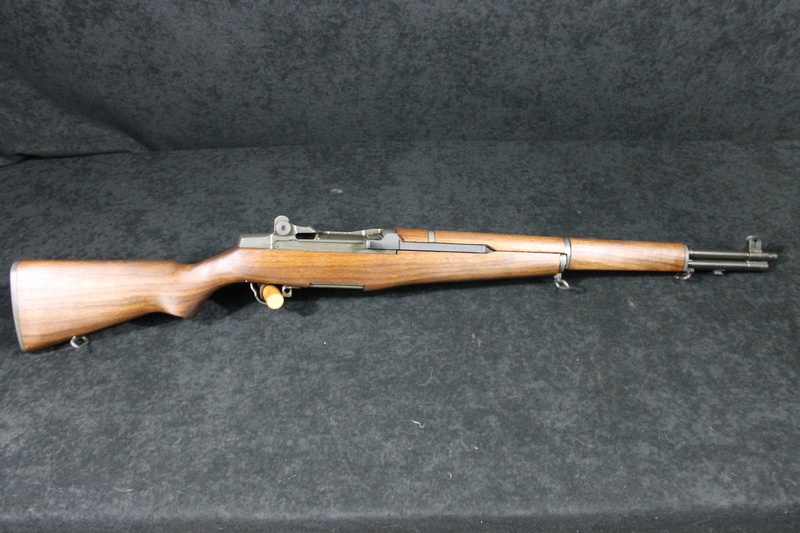 Please Call 631 205 1299 during our business hours to reserve your rifle OR Email us at Michael@M1garand.com requesting we hold a rifle for you until you call. We will cordially answer all your questions. Payment can be via credit card ( no added fees for their use ), personal check, business check, money order, or bank check. Sorry, we are unable to take pictures of individual rifles at this time as inventory changes rapidly. 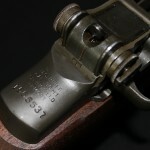 Photographs are representative of the rifles in any particular grade. We cannot ship firearms to un-licensed individuals, therefore rifle has to be shipped to your local dealer. Many gunshops offer a transfer service for a small fee so check with your favorite local shop first to arrange shipment. Most are very familiar with procedure and will gladly assist in the transfer. We need for them to send an original signed copy of their FFL mailed to our P.O. Box 1592 Rocky Point, NY 11778 address or you can obtain a copy from them and forward it to us with your payment. Faxed or emailed (as attachment) copies of your dealers license are acceptable, but make sure they are sent on “fine setting” so we can read them. Our Fax number is 631 205 0353. When mailing in your payment after first reserving your rifle, we prefer you to let us know the dealer that you will be using in with your order. Note! Holders of federally issued C&R licenses can receive all grades of M1s directly without going through a dealer. 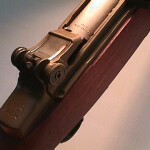 45.00 flat rate shipping, insurance and handling on firearms. Barrelled actions 25.00 shipping, insurance, and handling. Receivers 20.00 shipping. New York state residents can come to our shop and purchase an M1 rifle after a NICS check and leave the same day with your rifle! M1 rifles are New York State compliant and may be purchased by qualified individuals and need not be registered with the state and there are no restriction on future transfer.